I tested a quilt pattern by a friend at London Modern Quilt Guild, Carina it's a quilting project inside Carina's new e-book Poplar Bear Country. Carina called it the iceberg quilt and as I chose a range of sugary pastels my daughter christened the quilt #sodafloat. I made it for a friend who is expecting a baby very soon and there's nothing like a deadline to consentrate the mind and sewing schedule. Headed out to the Village Haberdashery in West Hampstead for the Kona Solids and setabout making the quilt. It is built up in blocks that are really cleverly made and grows quite simply, I managed to make the top up in 2 evenings after work. Found the quilt batting at MacCulloch & Wallis and also bought a pure cotton 40 weight thread in a lovely icy pastel purple. The backing and binding are from Tikki London, so love the contrast of the backing to the front and the stripe worked really well as a binding. 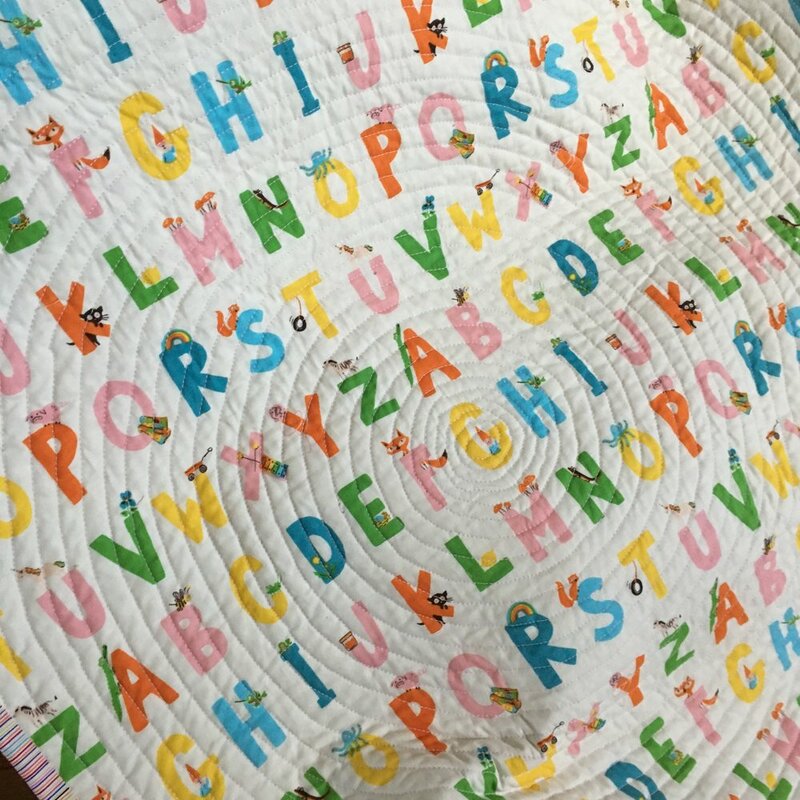 I did waver when it came to the quilting style and so delighted with the way the circular quilting worked out. I steamed the backing with a warm iron onto the batting and then steam pressed the top, pinned and it really helped to keep the 3 layers together with no puckering at all. It has now flown out and been recieved ready for the new arrival! If you like the pattern do have a look over at Carina's shop and if you are outside the EU here's a link to buy the book.